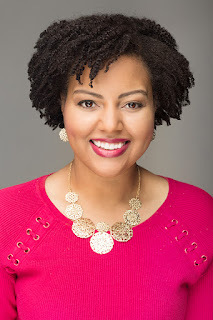 Here's your chance to win this great book by Erin Danielle Russell. Perfect for the 4-9 year old in your family. The giveaway is for US residents who are 18+ and ends at 11:59pm on 6/2/18. For more complete rules see Giveaway Rules. 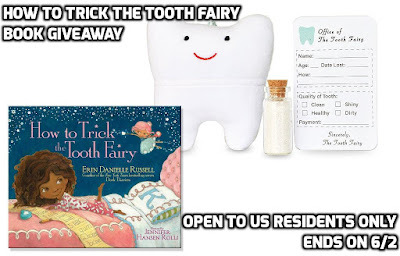 The winner will receive a copy of How To Trick the Tooth Fairy, as well as a Tooth Fairy Pillow Kit with Keepsake Notepad and Magic Glitter! $5 for the First Tooth and $2 after that! I believe I received a glorious 25 cents from the tooth fairy. We haven't got that far, our oldest is 5 but she has friends who have lost teeth. We have discussed it and we are up in the air between a dollar or coupon for a special trip alone with mom and dad for an ice cream. I'm past those days for my own kids and I honestly don't remember what it was. I also don't know what my kids do for the grands. This sounds like a really cute book. Thanks for the giveaway! We pay based on their age. Right now, my son gets $6 per tooth. When my daughter was small she got a $1.00. That was 44 years ago. Anything from a quarter to a dollar. I got nothing when I lost a tooth. The tooth fairy paid one dollar per tooth. The tooth fairy pays just one dollar! When I was a kid (long time ago! ), we were lucky to get a dime. My kids get a buck. Old teeth are certainly not worth a fiver - especially to a 6-year-old. 1 or 2 bucks per tooth!! We pay $10 for first tooth then $1 for each one after that!